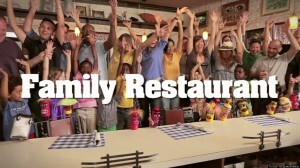 Short version: Family Restaurant is a media project for young children whose parents are lesbian or gay. It features cute puppets and real children of gay or lesbian parents. My producing partner Jamie is a gay dad, and he and his family appear as the heroes who save the day.